We are a clinical massage and bodywork practice dedicated to resolving pain and liberating movement in women’s bodies. Established in 1995 our practice was born out of a love for supporting women during the reproductive years. Though prenatal massage remains our specialty today, therapists in our clinic are adept in assessing and addressing patterns of use and tension that are specific to women whether they are chasing a career, increasing fitness levels, growing a family, restoring/maintaining health, rocking menopause or beyond. Our therapists use clinical massage techniques such as myofascial release, trigger point release, kinesio taping, fascial stretch therapy, deep tissue massage, neuromuscular therapy and precussion treatments to form our dynamic approach of restoring inherent strength, health and range of motion in a women’s body. Women of all life stages can expect integrated clinical massage techniques and modalities to maintain or restore health in soft tissue commonly overused or injured in a woman’s body. In our cozy and nurturing environment treatments can be quiet and restorative, investigative, educational, targeted, humorous, or reassuring. ACUTE Pain: Recognizing that resources are precious, therapists at WIM work to identify and resolve acute pain conditions within 4 sessions; our Cooperative community of clinical practitioners are utilized for adjunctive assistance where applicable. Designed to liberate movement, gentle and effective for all women including pregnant and postpartum. Here we combine clinical massage techniques, breath-work and decompressing stretch to improve posture, agility and health in your body’s joints, ligaments, tendons, muscles and fascia. Includes 45-minutes of targeted massage with 30-minutes of Fascial Stretch Therapy (FST). FST is an assisted-stretch modality that unlike traditional stretching affects integrated systems of soft tissue, not just isolated muscles or muscle groups. FST relieves pain caused by tension while making gains in flexibility and range of motion. There is no discomfort during or following FST. We strongly recommend drinking 80+ oz of water daily for two days prior to receiving this session. Add-On: Non-pregnant clients can add Pulse Electromagnetic Field Therapy (PEMF) to this session to nourish and wake up the brain and other vital systems, enhance removal of toxins from the body and aid in repair and recovery of bodywork. 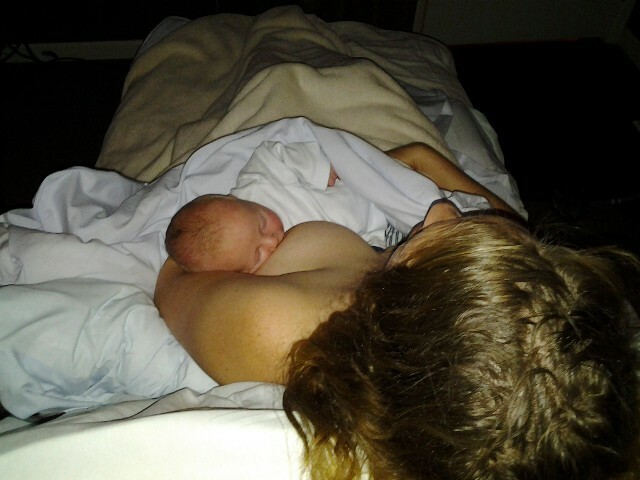 The focus here is balancing mobility and stability in the newly postpartum body. Our postpartum bodywork uses clinical massage techniques to target specific pain associated with pregnancy/birth recovery, muscle knots and tension, muscle overuse, nerve impingement, ligament laxity and core instability. This session differs from the Bringing Baby session in that the multiple modalities used to target pain and tension are NOT safely preformed with a baby on the table. Please avoid bringing baby to this session. Offered as a single session or a series of three. Sessions are best received between 10days – 4 months postpartum. Purchased as a gift certificate by emailing Office@WIMdenver.com. Hard to imagine, but true! Newborns 1-8 weeks are sweetly tucked in with Mom on the table while she receives fluid-flushing and muscle recovery massage techniques. Special massage tables along with highly-skilled (baby whispering) massage therapists make all the difference here! This session is scheduled for 90-minutes but comes to about 75 minutes of memorable, restorative and comforting hands-on massage (time added for baby-soothing). A great photo-op for the baby book and a wonderful way for Mom to get her confidence in an outing with baby. Purchase this as a baby shower gift by emailing Office@wimdenver.com. This is a specialty session and cannot be used as part of any special offer. We advise all expecting Moms to drink 80+ oz of water the day prior-to and of (where applicable) scheduled massage. This clinic has specialized in pregnancy/postpartum pain-management for over 20 years. Moms can expect clinical massage techniques that is firm and targeted, quiet and restorative, investigative, educational or reassuring. Special treatment tables and cushioning systems combine to custom-fit each stage, shape and condition of pregnancy. Positions can include face-down, side-lying, semi-reclined or seated upright. Care and special attention is given to moms of multiples and where high-risk conditions are present. We invite you to email our high-risk massage expert directly with any questions or special notes prior to your scheduled session Regina@wimdenver.com. Because this session works with the autonomic nervous system and the inherent wisdom of placental mammals it is only effective if scheduled after 4:30pm (Nov-April) 6pm (May-Oct). NOTE: Be sure to book this session after 4:30 or 6pm respectively (the online system does not sensor appointment availability). Appointments scheduled before 4:30 or 6pm respectively will be cancelled. Unless facing a medically necessary induction, this session is not provided sooner than 39w4d gestation. Availability for this session is limited so we advise you to schedule for week 40….today (scheduling for your due date or following). This session can be cancelled at any time without penalty. For full efficacy, do not schedule acupuncture for induction within 24hrs before or after this treatment. Please email Office@wimdenver.com if you are having trouble scheduling this session. This specialty session cannot be used as part of any special offer. *Click Book Now, select Clinical Massage for more serve descriptions, fees and scheduling. Regina owns Women’s Integrative Massage, she is the founder and creative director of Harmony’s Family Cooperative and co-owner of Partners In Diastasis Rehabilitation. 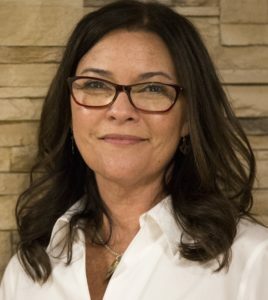 Regina was lucky enough to have studied in a program that focused her massage training specifically on the art of healing women through clinical therapeutic massage; she graduated the Desert Institute of the Healing Arts in 1994 with 1100+ hours of clinical massage therapy training. Since 1994, Regina has acquired training, licensing and certifications in childbirth education; birth doula; breastfeeding education; postpartum doula; clinical hypnosis; kinesio taping (CKTP); lymphatic channeling, diastasis recti rehab and fascial stretch therapy (CFST). Regina enjoys cooking and sharing meals, moving to music with friends, exploring nature and all manner of growing and connecting with her immediate and extended tribes. Having been surrounded by healers her entire life Christa chose clinical massage as her life’s work, attending the Massage Therapy Institute of Colorado in Denver and graduating with more than 1000 hours of combined training and clinical practice. Today Christa focuses her techniques on deep tissue, reflexology, and neuromuscular therapies. As a part of the Women’s Integrative Massage team Christa has found a passion in helping women resolve pain throughout their many life stages. 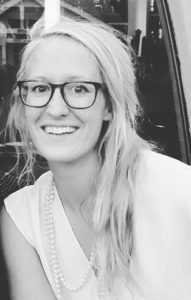 Christa loves meeting women where they are in life, bringing her massage techniques into the clinical massage setting where she can support their bodies in finding strength and health. Christa enjoys expanding her knowledge of earth-based resources including anything apothecary. She loves cooking, caring for her chicken coop, traveling and experiencing nature.